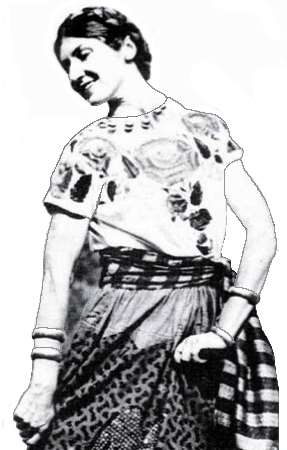 Information: Gertrude Prokosch Kurath, author of books about Mexican dance. "Los Concheros," by Kurath, Gertrude Prokosch, in Journal of American Folklore, 59 (1946), p. 387-99. (398.305 J82 V.59 1946 PCL; G972.01 M362D BEN) Survey of Concheros dances in Mexico with music and list of motifs. "Mexican moriscas; a problem in dance acculturation," by Kurath, Gertrude Prokosch, in Journal of American Folklore, 62 (1949), p. 87-106. (398.305 J82 V.62 1949 PCL; G972.01 M362D BEN) Survey of Moriscas dances in Mexico and around the world. Slavic Folklore. Kurath, Gertrude Prokosch. n.p., n.d. Proceedings of a symposium on comparative choreology of Mid-Europe and Middle America.